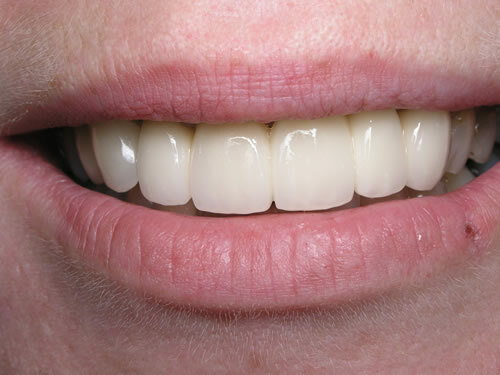 A porcelain veneer is a custom made tooth coloured covering that when bonded to your tooth can change the whole appearance of your smile. 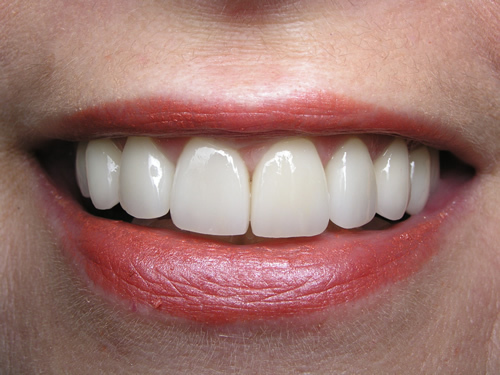 Porcelain veneers are used to close gaps or cover teeth that are stained, unsightly, crooked, or misshapen. 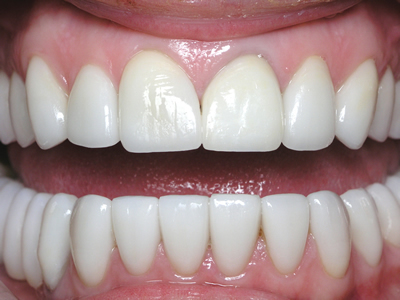 They are also used to permanently change the colour of your teeth usually to a whiter brighter colour. 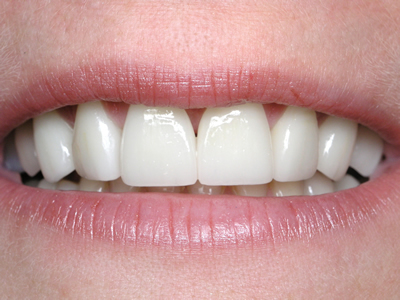 Veneers attach directly to the existing surface of the tooth with a special bonding material. 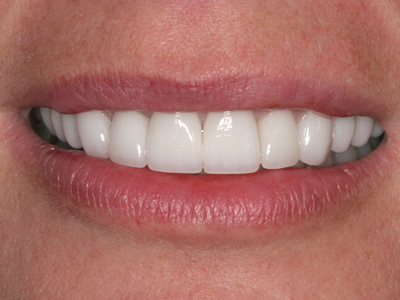 Porcelain dental veneers are very durable and are used to make long lasting changes to your smile. The process can be as short as two visits enabling you to have a confident and beautiful smile. 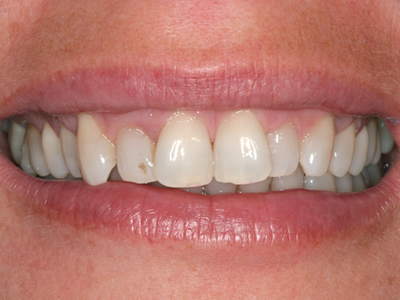 Porcelain veneer carries our exclusive five-year guarantee. 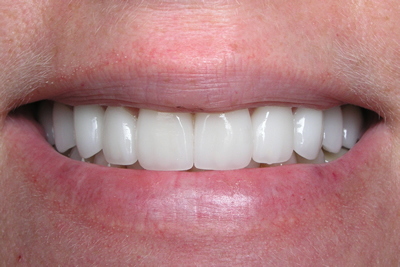 When it comes to porcelain dental veneers, our goal is to exceed your expectations with careful planning, ensuring that you get a result that preserves your health and creates a smile that is beautiful. Our collaborative approach involves you to create a smile that's right for you and designed to last. When we use multiple veneers sometimes in combination with crowns, bridges and implants to cosmetically enhance, change or rejuvenate your smile like the illustrations below. 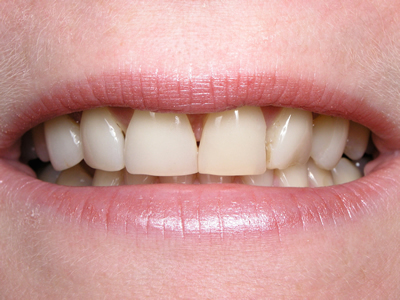 This is commonly referred to as a smile makeover. 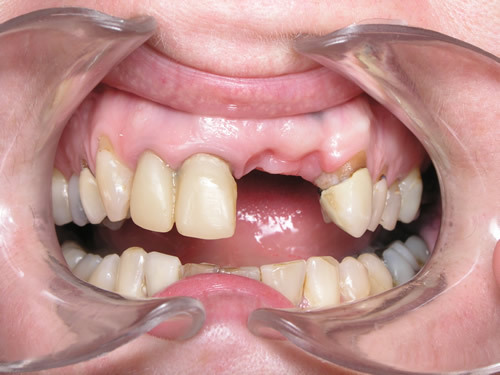 Crowns are used to restore heavily fiiled teeth, and bridges are used to replace missing teeth. 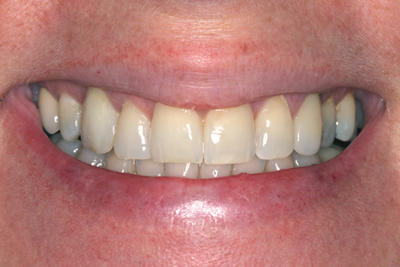 Todays modern dental crowns provide a perfectly natural look by mimicking natural tooth structure in translucency and colour, and unlike the black lines that appear at the gum line with conventional metal ceramic crowns the new porcelain crowns blend in with the natural tooth structure eliminating this unsightly artefact. 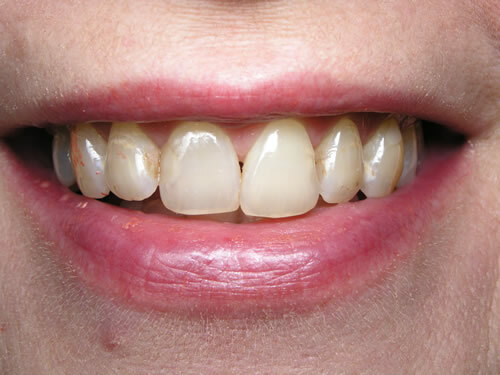 By combining porcelain crowns and bridges we can permanently replace missing teeth. 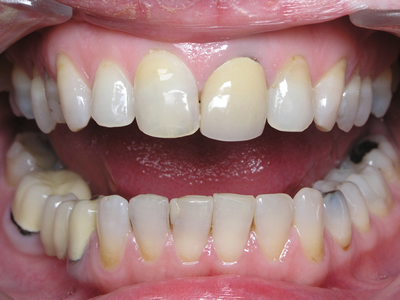 We do this by bonding a natural looking bridge securely to adjacent teeth using porcelain dental crowns.This is usually bonded in place with a special resin cement which increases the strength of the bridge. We make recommendations as to the type of porcelain we use based upon your colour selections and what would give you the best long term result.